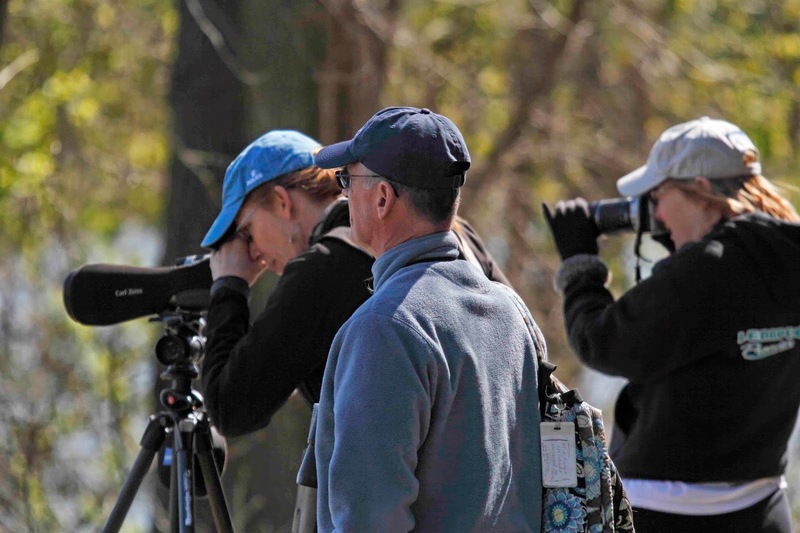 As I said in the last post, this past weekend was filled with birding events. We started on Friday night with a warbler workshop. 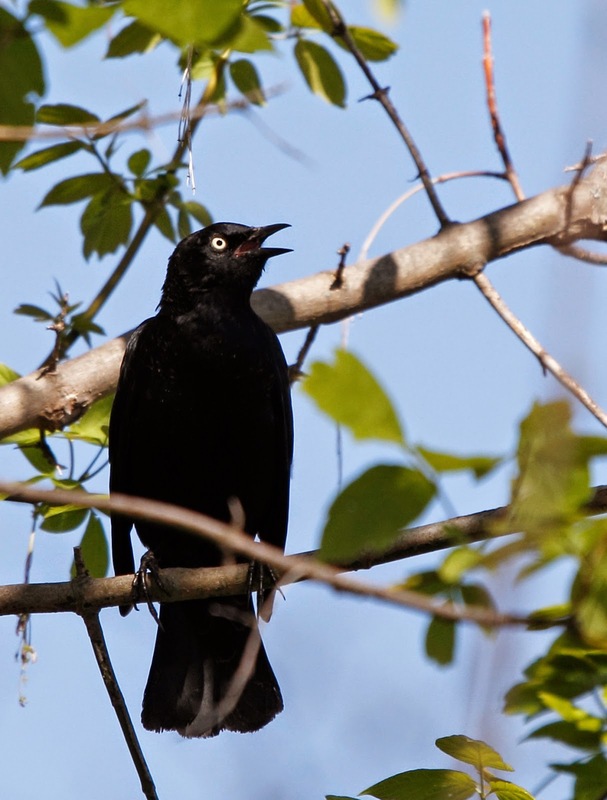 The authors of The Warbler Guide - Scott Whittle and Tom McPherson presented a workshop at John Heinz Refuge about identifying warblers by their song. It was a good presentation. 80 people attended. Some of us met at Belleplain State Park in Cape May County on Saturday morning for the second part of the workshop. Scott and Tom took us through the park listening for warblers. We used some of the skills that we learned to identify the birds. It went pretty well although there weren't many varieties of warblers in the woods yet. I think it is still too early for them. 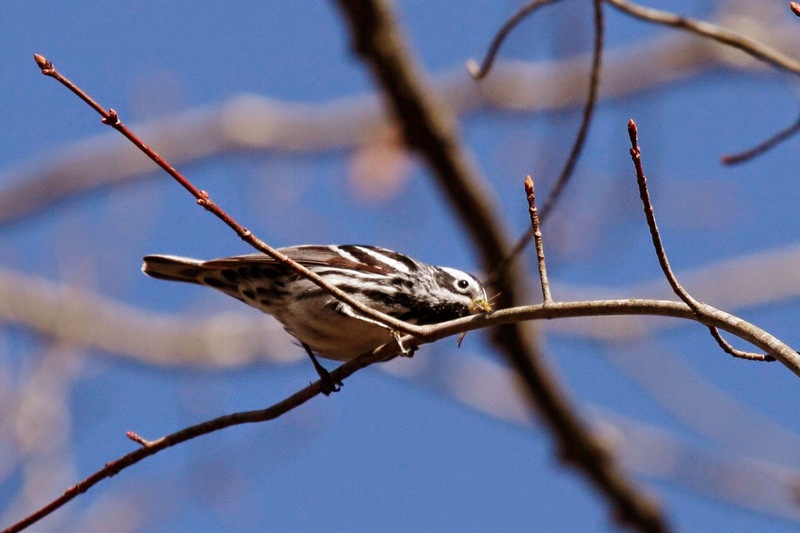 We saw and heard a ton of Black and White Warblers. This one caught a bug for breakfast. 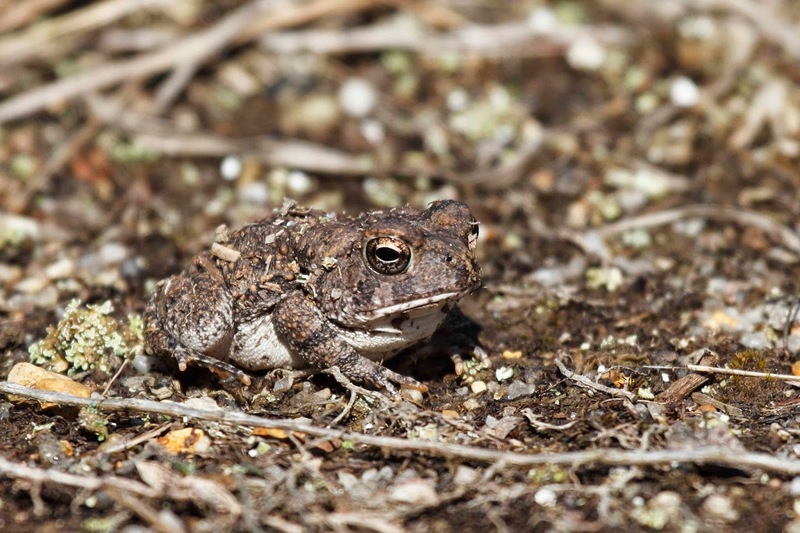 We also found this little toad which is kind of cute. After the field trip on Sat, I went to Delran NJ to count Great Blue Heron nests. I had sites to go to. The first one was totally clear cut for a new housing development - no birds there. The second spot was behind someone's house. I knocked on the door and the homeowner gave me permission to go slogging through the swamp to look for nests. No nests there either. The third location was a little island in the Delaware River just off of Dredge Harbor. Success! I counted 62 nests in the trees and saw 25 Great Blue Herons either sitting on or near a nest. Whew, I was starting to think I wouldn't get to count any. You can kind of see the nests in the trees. 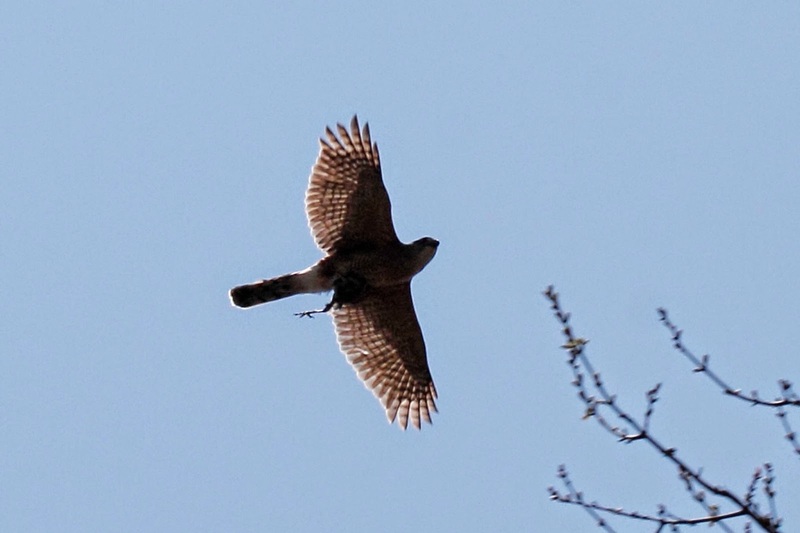 This Cooper's Hawk flew over head with half of a meal still in it's talons. 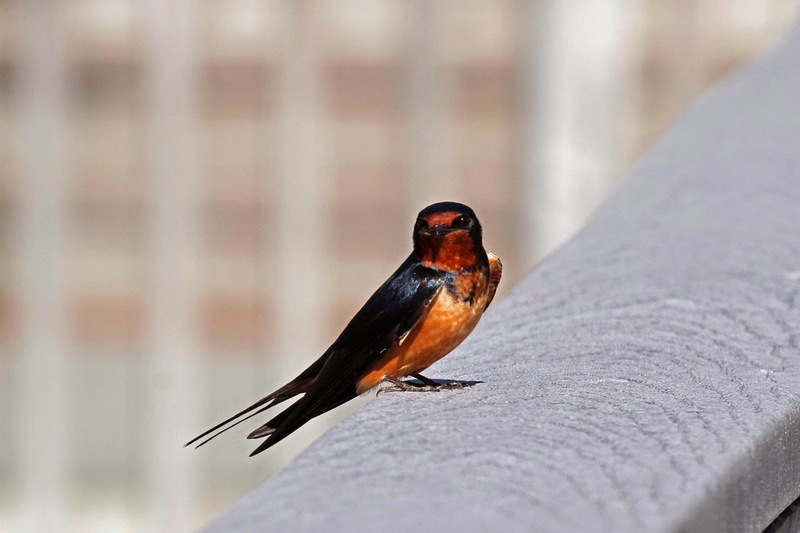 You can see a little bird foot dragging behind the wing. Yuck, but the hawk has to eat too. 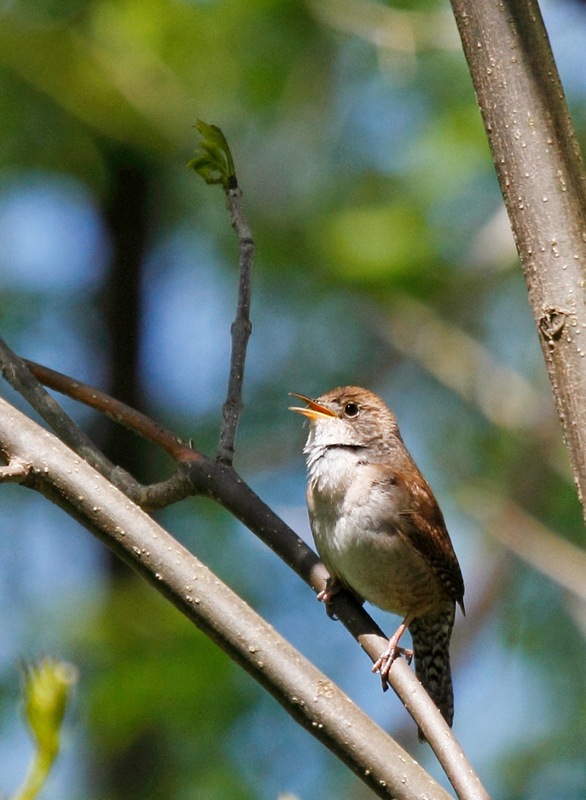 As part of the workshop series, the DVOC asked me to help lead a bird walk at John Heinz Refuge (Tinicum) on Sunday. I was glad that they decided to have me, Patty and Steve lead a photo group. That is more up my alley than trying to identify a ton of birds for birders. We had a small but enthusiastic group. We saw some good birds and I think they had fun. 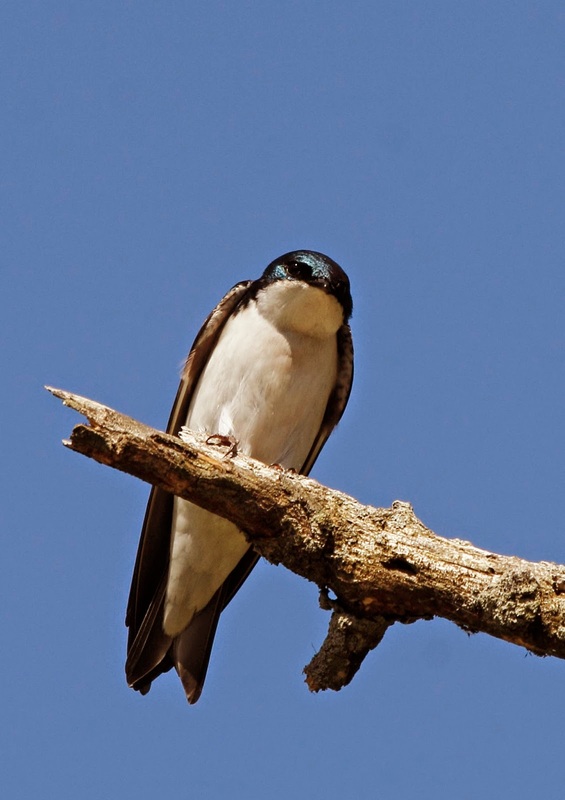 We found some easy to photograph birds like these swallows. 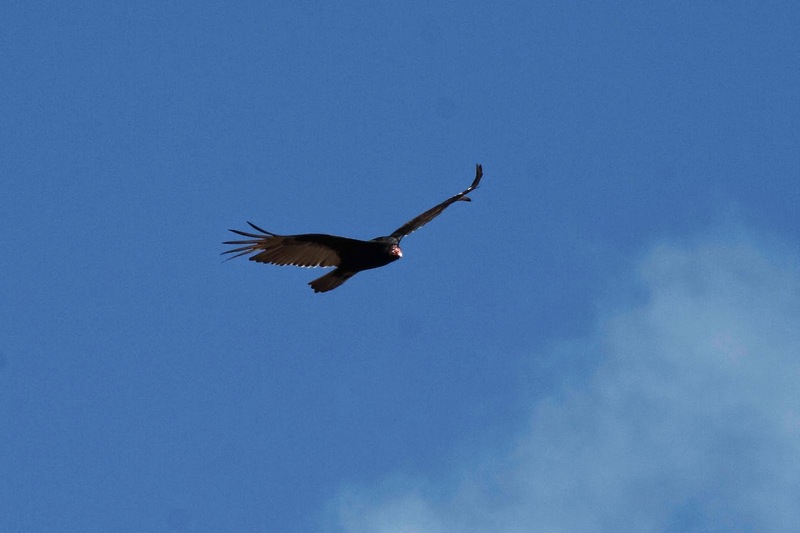 We photographed some birds in the air like this Osprey and Turkey Vulture. We photographed some signing birds like this wren and blackbird. And we also tried to photograph little flitty birds in trees. This is the most difficult. 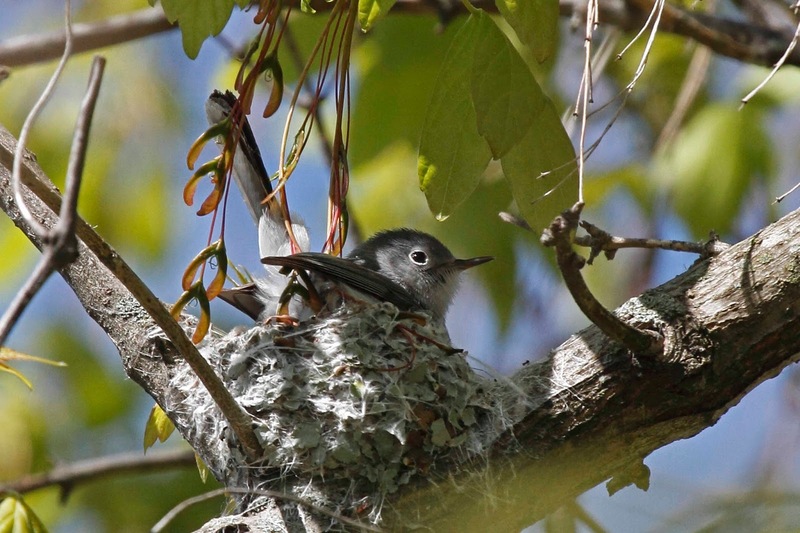 The first photo is Blue-gray Gnatcatcher sitting on her new nest. 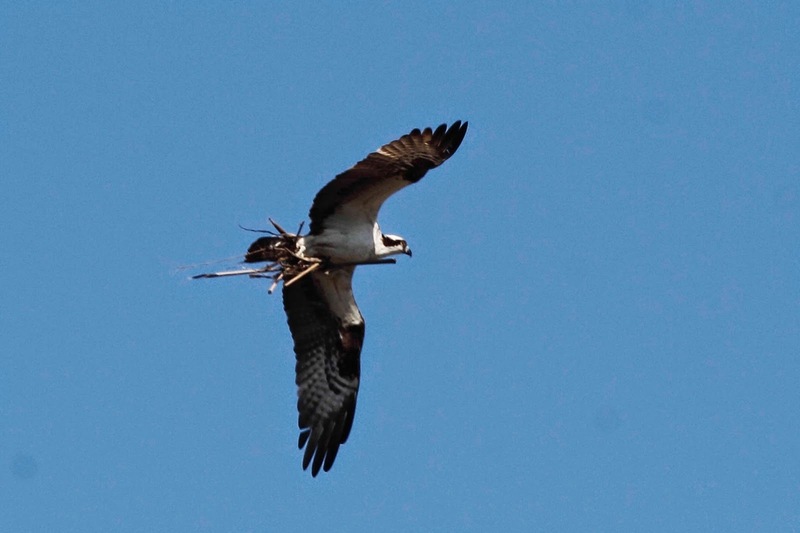 Look at how she puts her long tail straight up in the air since it doesn't fit inside the nest. 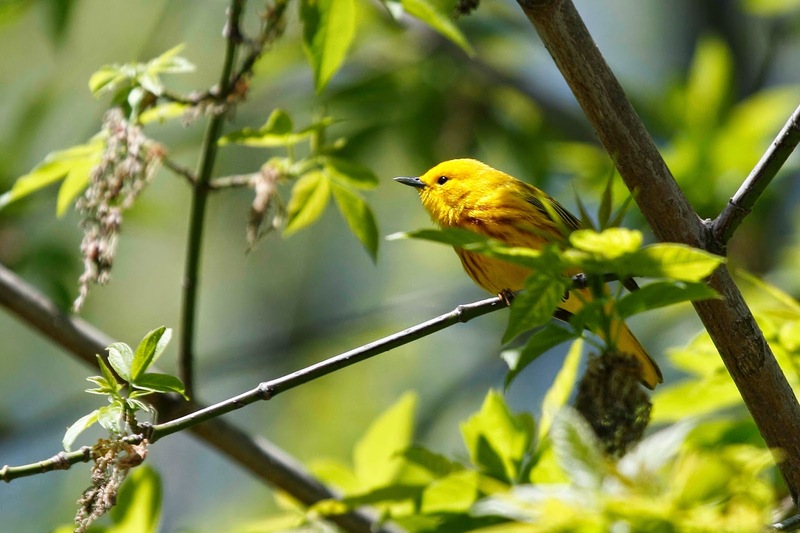 Here is one of the many Yellow Warblers that we saw along the trail. They were flying around so fast that we hardly had a chance to snap a photo. This guy cooperated for a few minutes. I think some of the group learned a few techniques, like move to another position if the bird is blocked by a branch and move closer if possible. Here is Patty imparting some wisdom. All in all it was a good day. And then I found the owls which was the icing on the cake. Great post. I'll bet your photo students had a lot of fun with you (and Patty and Steve) as the leaders. 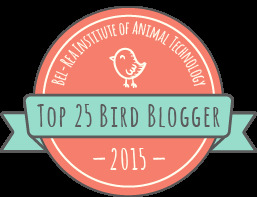 You must have felt right at home with all the things you like - birds, photography, teaching!